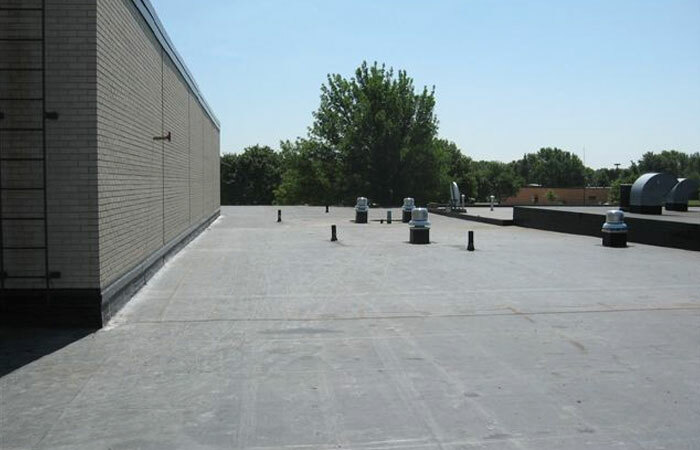 Mid-West Roofing Company has been installing low sloped roof systems and architectural sheet metal in North Iowa and Southern Minnesota since 1897. In partnering with Mid-West Roofing Company, our customers will experience a professional and knowledgeable solution to any low-sloped roofing project. We inspect and analyze each roof to determine the best replacement and installation options for a quality, worry-free roof installation. In doing so, we provide excellent customer service and provide guarantees that back our professional installations. * Please note that we generally do not do asphalt shingling for residential homes.